Translated novels, like students applying to an Ivy League graduate school, have a double hurdle to clear: on one hand, they are expected to fit into the existing standard of the target market, being immediately and easily recognizable in genre and style, and on the other, they must be the most outstanding representatives of their literature of origin, head-and-shoulders above their brethren in originality, innovation, and style. This approach can lead to books that are at pains to be original, and to translations that are equally at pains to mainstream and domesticate them. 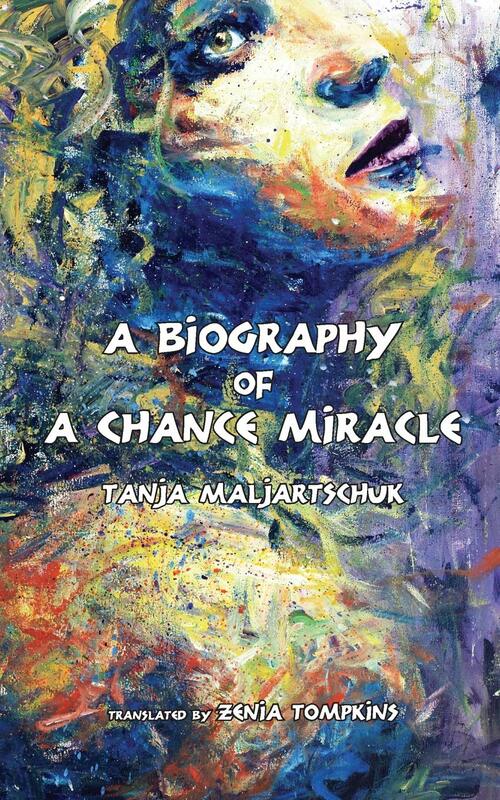 It is good news, then, than Zenia Tompkins’ translation delivers A Biography of a Chance Miracle to English speaking readers in its full quirky, irreverent, breezy and occasionally merciless splendor. Maljartschuk’s original prose and its German translations have already won a devoted following: hers is certainly a post-colonial but also a post-pious voice, and Biography pulls no punches in its critique of superficial nationalist ardor. It is not, however, a political book. It is a picaresque novel, with a heroine—Lena—whose personal credo is rather modest: “being stupid was the one thing that she spent her whole life trying to avoid.” Armed with this determination and an uncommon confidence in her own opinions, Lena grows up disdainful of teachers but irretrievably moved by the incomprehensible banality of other people’s woes. She schemes to relieve a couple of drunks of the need to eat pigs’ heads (they can’t afford anything else), sympathizes with an unemployed professor’s conspiracy theories, and befriends a neglected schoolmate whom she, despite being kind to her, calls Dog. A true picaresque requires a road for the heroine to travel, but in this book—as in the Ukraine about which it is written—the road elsewhere remains an elusive dream. Lena’s home town—San Francisco—is named in honor of the American destination of its countless emigrants, and America is the dream-land to which many, rather ineffectually, aspire. Lena herself almost gets on the bus out of town—but never makes it. Instead, Lena chronicles the absurdities and cruelties of a purposeless post-Soviet town. The absurd she takes in stride, as when she consults a local doctor about having nightmares and is advised that, “There are only two groups of people in this world: those who go to the bathroom normally every day and those who will die of colon cancer.” The cruelty, however, be it of the small everyday variety or the kind that springs from a deep irreparable deficiency of the soul, propels Lena to action and that is how we come to love her. “…Lena would say that there was nothing more interesting than observing the passage of time. Being a witness to the beginning and subsequent development of stories that appear completely unnoteworthy at first glance. Feeling how memory swells and expands every which way, how it grows bigger and bigger, how it fills your entire body and keeps you from sleeping at night.” A Biography of a Chance Miracle is a collection of stories that appear unnoteworthy at first glance, but swell and fill the imagination as one reads them. The final twist is both perfectly surreal and perfectly logical in a book whose hero’s stubborn faith—in herself, if nothing else—is nothing short of magic. About the reviewer: Nina Murray is a Ukrainian-born American poet and translator. She translated, most recently, Oksana Zabuzhko’s The Museum of Abandoned Secrets. Her debut collection of poetry, Minimize Considered, is published by Finishing Line Press.